1) Explain the physiological requirements for adequate tissue oxygenation. 2) Interpret values for all parameters pertaining to tissue oxygenation. 3) Discriminate between hypoxemic & non-hypoxemic hypoxia. 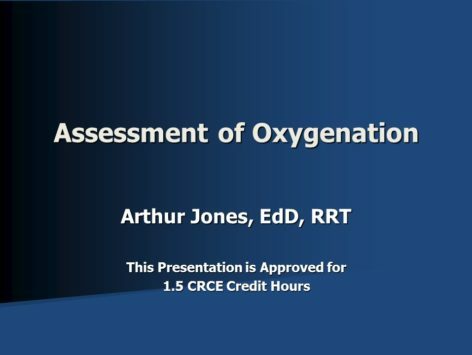 4) Given clinical data, evaluate status of oxygenation. 5) Explain the rationale, compensatory mechanisms, & precautions associated with permissive hypoxemia.